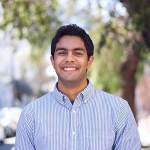 I'm a 22 year old Computer Science graduate from the University of California, San Diego and I have a love for all aspects of technology and applied problem solving. I currently work at LinkedIn in San Francisco, CA as a Software Engineer working on the Pages team under LinkedIn Marketing Solutions. As a full stack software engineer I like to bring together a wide variety of software development experience in order to bring refined, functional, and scalable products to life. I have had the amazing oppurtunity to hone my skills over the past four years working with large corporations (LinkedIn, VMware, Thermo Fisher, Draper), small startups (Earnest, GoShare), and a variety of student organizations. When I'm not at my computer, I'm probably taking pictures, at the gym lifting, or traveling the world. Working on the Pages team under LinkedIn Marketing Solutions in San Francisco, CA. I worked on the rearchitecture and redesign of the Sales Navigator product on the Pemberly technical stack under LinkedIn Sales Solutions. During my time on this project I developed patterns for and implemented a synchronized cache layer leveraging Ember Data, significantly reducing redundant API calls, and allowing for instantaneous optimistic client-side updates. I was also able to boost route transition and render performance 2-4x (worst case) and 10-20x (best case) and introduce lazy load and render occlusion culling to our application. I rearchitected key portions of the NSX Manager web application into Angular 4 using redux patterns and a centralized service layer. Additionally, I developed a coexistence platform to ease JS framework transitioning with selective app switching and capabilities for inter-app communication using RxJS, created various reusable Angular components, worked on a new workflows feature to enable eased guidance through the various complexities in the NSX platform, enabled rudimentary role based access controls of features using route guards, and developed a real time, isometric network topology diagramming tool with interactive and editable capabilities using Node.js and vis.js. I developed a Feature Flag and A/B Testing Platform designed to aid in unified or partial rollouts of new features to certain audiences, and measure their success through a singular micro-service. The RESTful API was created using a hapi.js server overlaid on Node.js with a PostreSQL database, and a custom module to track A/B statistics via Optimizely; this was paired with an administrative front end written in React with Okta OAuth2 authentication for privileged tasks. Additionally, I worked with the team to develop other UI components for the various loan applications using Angular and Sass. During my internship at Thermo Fisher Scientific, I engaged in full stack web development, developing code at the database, back end, and front end levels. I developed a real time data gathering and aggregation application in ASP.NET, with an Oracle database, VB back end, and HTML/CSS/JS front end, to allow for management to track the overall progress/health of their respective departments in real time through a series of easy to read metric visualizations. I also created scripts to aid in workflow automation by pulling desired information from multiple different sources and formatting it into desired automated reports. During the summer of 2014, I worked as an Engineering Intern in Draper Laboratory's Inertial Instrument Test and Development group. As part of my internship, I developed algorithms and MATLAB scripts to aid in the collection and analysis of data from accelerometers and gyroscopes used in the Trident II Mark 6 Mod 1 guidance system program for the Navy. A particular accelerometer data-processing algorithm was implemented at a production facility that is managed by a Draper vendor. Westwood Technology is an organization that I founded at the age of 14. Westwood Technology is a free program offered throughout Westwood, MA that focuses on the technological education of our community. This took form through both online and in person educational resources that members of our community are able to access through the website. On the website my organization created educational videos and text guides on how to navigate every day technical difficulties. In addition, this organization created volunteer opportunities for other students to develop teaching and technological skills as they helped others in our community deal with specific technology problems. I was the VP of Engineering of Lumnus Consulting during my senior year at UCSD. In this position I worked to acquire new clients for technical projects, develop partnerships with startup incubators and accelerators in the San Diego and LA area to source clients, lead a team of developers and designers working on projects, and individually contribute to projects as well. During my time as VP of Engineering we worked on several projects building out web applications and static marketing websites. I was the Vice President of the UCSD chapter of Project RISHI where my role was to help oversee and delegate tasks amongst our board, and ensure that we thrive as an organization. Previous to my time as Vice President I was the webmaster and in my role I helped deal with all technical aspects of the organization and led the development of the new UCSD Project RISHI website. I was the Technical Team Lead for TESC where I provided technical solutions for our organization as well as the over 20 member organizations that fall under our purview. In my role, I lead development of our new website and associated sites, handled technical questions, and operated a 15 person development team dedicated to innovating in event creation, checkin, and analytics. I was the technical chair of SangamSD at UCSD for two years. In my role I helped deal with all technical aspects of the organization and lead the development of the SangamSD website. Other projects were focused on event registration, management, and payment solutions through our website. I was the president of the UCSD International and Out of State Student Organization and in my role oversaw the creation and execution of multiple events and was able to effectively delegate tasks amongst my team. This organization is dedicated to creating a more welcoming environment on campus for international and out of state students through community building activities. As a part of the Society of Asian Scientists and Engineers I worked with the president of the organization to help in the planning and execution of several professional events held on campus as well as the West Regional Conference that saw almost 200 attendees from all across the west coast as well as professionals from companies in the San Diego area.